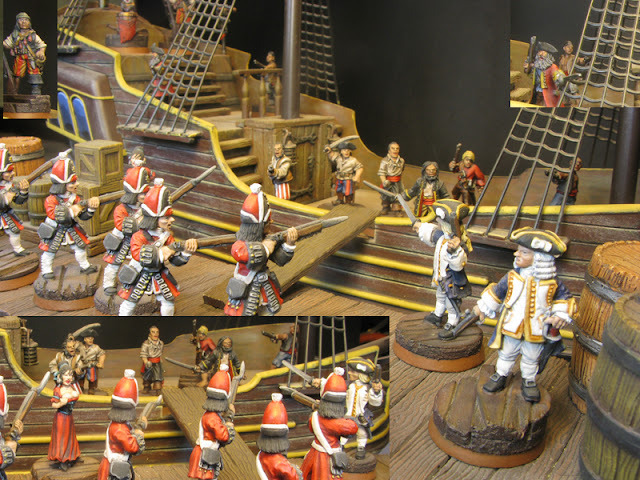 Despite the strong showing at this years Adepticon and its continued strong fanbase despite the total lack of support. 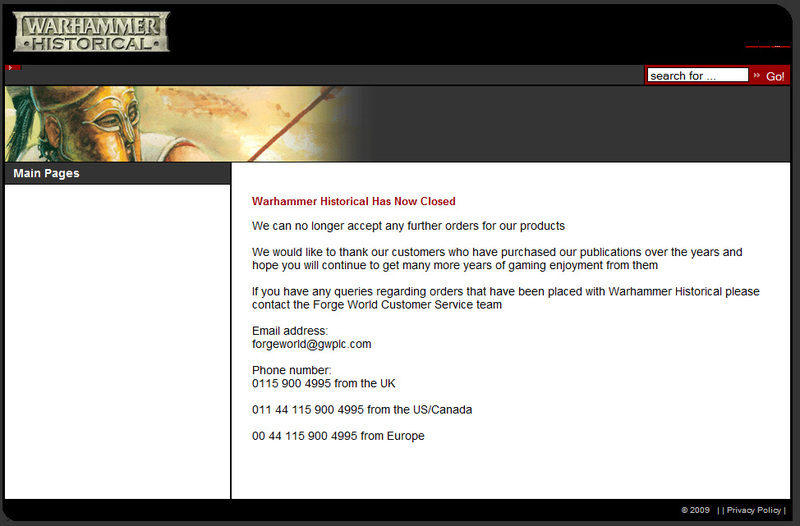 Warhammer Historical has now had its last throes and is dead. I wont bother too much with jumping in on the public flogging over the epic stupidity of no longer officially supporting WAB, The post title says it all..(.I just wish I had a font that bled sarcasm.) Needless to say, Warlord Games certainly thanks you. I guess its cool we move all the Historical events at Adepticon over the Hail Caesar rules since The rule system is in print and well supported. That just makes good business sense. What a ride, I ended up coming in 14th place out of 46th..I did'nt meet my goal of the top ten but close enough. Above is my final entry. "The Capture of the Griffon" which lost by 30 or so votes. leaving me with a 6-4 Record. I would have to have won this one, one of the others I lost and figured out how to get at least half of 20 bonus I couldn't take advantage of..to make the top ten. Pretty big jump...so it wasn't really doable even if I won Round 10. Couple on interesting notes. 1. I called the winner in round 3 after he beat me in round 2, and I saw his round 3 entry. He ended up going 10-0 (which I think is a first) anyway this guy can always find side work as studio painter if he wants it (a bunch of these guys could, some might be, not sure). 2. Getting max bonus points and winning every round is a huge accomplishment, every entry you put in really needs to be jaw dropping. Otherwise your subject to losing to any oddball entry that strikes peoples fancy for whatever reason not just the painting. Whether that be, naked ladies, comedic dioramas, or just damn creative entries These things will beat a better painted, less attention craving entry 9 times out of 10, so you need to be that one of ten, that still can trump those occasional match ups to consistently win. 3. Your Photography needs to be good. If you cannot consistently take excellent pictures of your stuff, dont waste your time here. Good photos make all the difference. I let a shoddy photo slide in round 2, and it cost me, and I am usually quite happy with my photos but I must say during this process, I learned a couple tricks to make them better, so it was a fair trade off. 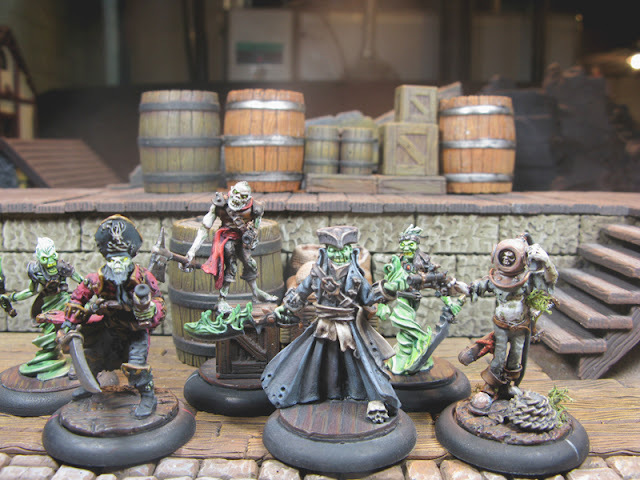 A fantastic contest, quirky with a great scoring system and a incredible of amount of awesome eye candy, If you are miniatures enthusiast and are not particularity interested or married to GW this contest is certainly for you. Hat's off to Dr Mathias for winning this and going 10-0. The top 4 guys this year all undoubtedly paint at Studio professional level, the majority of the top 25 are all, serious painters with long term hobby skills...or guys that would routinely win best appearance awards in public events, if you will. Hell of a contest...I know some guys who read here, who should definitely think about this just for the experience, and they're all LotR players so you guys know I am talking to you!. In other news we "finally" play Kings of War this Tuesday, after talking about it forever. The first time our WFB models are going to use for more than just myself in over a year. looking forward to see how the game plays and if it puts the fun back in large scale Fantasy gaming for us. and digging in to finish a couple of large hobby projects I've been secretly talking about. Round 10, The final round has begun over at the LAF for Lead Painters League Season 6.